Blessed Beings, Life is ever moving and ever changing. In your moment of stillness, or deep connection, that is where your clarity is heard. It does not yell, it is often a profound silence. Underneath words or without words, it matters not; for the subtle realm hears your stillness. The future is a response to the present moment and it awaits your desire and clarity of knowing to realign itself for you. 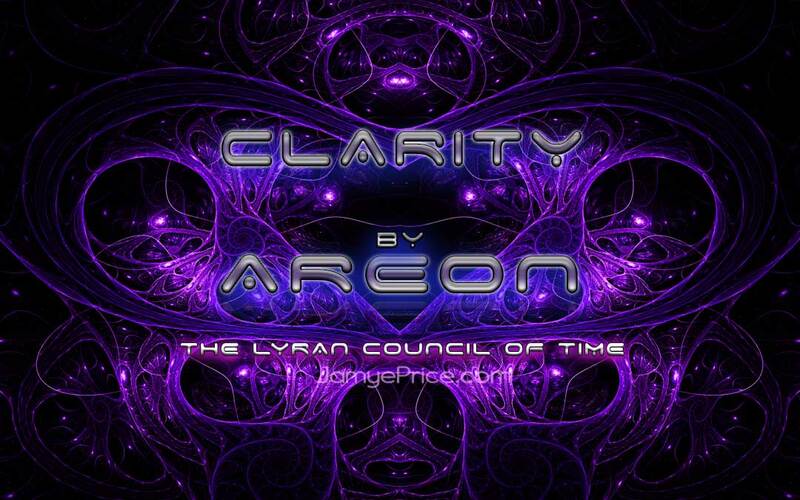 The subtle realm hears your clarity with the totality of understanding your full resonance. As you honor your authentic thoughts and emotions you are aligning with the subtle laws of time and space. Quite often as humans are interacting with time they experience it as a burden that cannot be shifted and begin to experience some unconscious resistance. They observe the past and what had been lost. They observe the future and fear the unknown. They resist the present because to fully be in it brings thoughts and emotions that may not feel comfortable. But as you honor the conditions of this reality, you begin to find your footing. You find interactions that create a strength of Knowing within the self. This is your clarity. Not all the answers of the future, but the power of the present moment embodied within. As you shift your inner experience, you can then authentically observe the past and experience a new perspective. Allow yourself to feel and experience a new perspective of that which has passed in the physical realm. It was a catalyst that fostered strength, understanding and compassion. It created a strong desire for change. The strength within the core of the self understands what it is to be in the eye of the storm and to allow the self to observe the future and the unknown. While the details of the future are unknown, the Knowing that all is well maintains your stability, even through change. You become the eye of the storm, that stable calm as life spins around you. This is an important understanding for you now, as life spins ever faster. To recognize and affirm that all is well in the present creates a future aligned with your peace that passes all understanding. You are ever changing as you create a strength of knowing within your self that all is well. Soothe the mind into understanding that all is well. Details will follow. As you learn to find your peace within the unknown (the subtle realm), you learn the skills of following the clues of life and directing from there. This is a refining of information. It is subtle realm communication. Your knowing that you exist within the physical realm and the subtle realm creates a shift.There is a transformation and a release as you allow yourself the authentic flow of emotion and thought. You move through the thoughts and emotions, you are not bound by them. You become a master of your interaction with the flow of Life. The difference is your conscious interaction with it. When your core is strong with the knowing of your sacredness, empowerment and that all is well—life flows more easily. It responds to you, and you find yourself aligning with Life in sacred and special ways. You begin to see the magic that you are, that which Love is. You begin to see that the “magic” in life is not an illusion, it is real and natural. But it is a choice. Life is wanting you to thrive, to allow Life through you. As you direct your choice and allow Life to respond, you are flowing with Life and Life is flowing with you more easily. The full give and receive of life is manifesting through you. New solution and new experience is being born through you. You do not need to figure it all out. Become resonant with the peace that passes all understanding and all understanding will pass through you. Your freedom is an internal experience. Your inner realm is your sovereign domain. How you maintain your inner realm, affects your creativity and your interaction with life. When you are free within, you are able to create and interact more easily. How do you find your inner freedom? Allow forgiveness. Allow new perception. Allow transformation to occur so that all experiences become new strengths, new wisdom, new understanding of the self. This heals the past into an empowered present. Allow excitement, play and creativity to flow. Transform worry or the fear of the unknown into a strength of understanding that Life is wanting to respond to you. This creates a future that is resonant with your empowered present. Embody the fullness of the present moment. The present moment contains the past and the future connecting through the core that you are. Embody your present moment fully. That is how you access that peace, stillness and the ability to observe with the detachment that All is Well. Begin to perceive the beauty in Life, even the challenges. By beginning to perceive the beauty that you are, you see that your core strength maintains a powerful alignment. Life responds powerfully to this flow. Be unconditionally loving with yourself. Be unconditionally loving with your past. Be unconditionally loving with your future. Be unconditionally loving with your present moment, even as authentic thoughts and feelings flow. The positive emotions are supporting you. The negative emotions are strengthening you. As you perceive all is well, observe the beauty in life, and love yourself unconditionally; you are transforming the negative into a connection with Love that no longer separates the two. 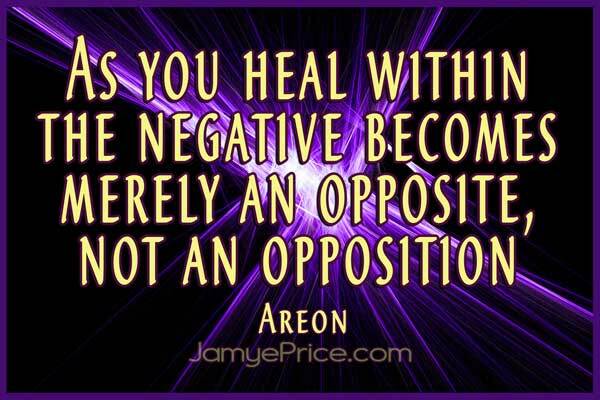 The negative then becomes merely an opposite, not an opposition. Duality no longer holds sway over you. You have become the eye of the storm—the strength that maintains its balance, even as life spins around it. As you create your clarity within, you allow the harmony of the spiral of Life to flow strongly to you, through you, and to create with you. We love you. We receive the beauty that you are. You are magnetic and magnificent. This interaction with you changes all of Life. Eeshah, Ehmah, Ehtah.